The leftover scraps from the above quilt were sewn together to make a super scrappy baby quilt. 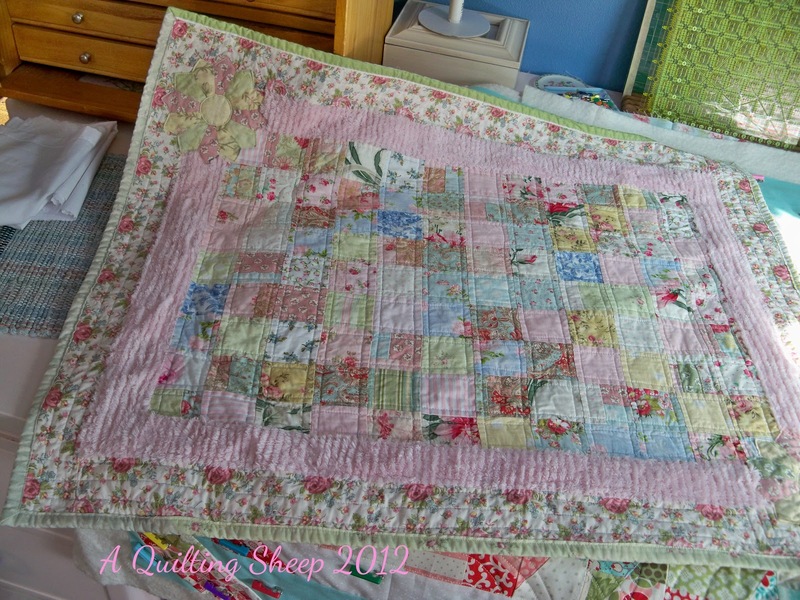 The extra squares turned into this smaller baby quilt. and backed with a sweet vintage sheet. This is a difficult time for me too as I am approaching the anniversary of my father's death. I understand. Oh Amy, I am so sorry you have been sad of late, but sweetie, it is understandable. Knowing my dear SIL is no longer in pain and with Jesus makes me happy, but still at times it hurts and I miss her greatly. My Mom's dementia is getting so bad, it hurts to go and spend time with her. Those scraps brought both of us comfort. You, in keeping busy, and for me just seeing more of those 'cast-offs' I sent you did so much to lift my spirits. Everything you made looks so sweet. I LOVE THAT PURSE YOU MADE!! I have no patience for anything other then quilts anymore, so the sweet bag you made me is a very treasured gift. Sending you hugs from miles away. Amy I was thinking about you a few days ago! Just know that my thoughts and prayers are with you! been missing your posts. happy belaated birthday. 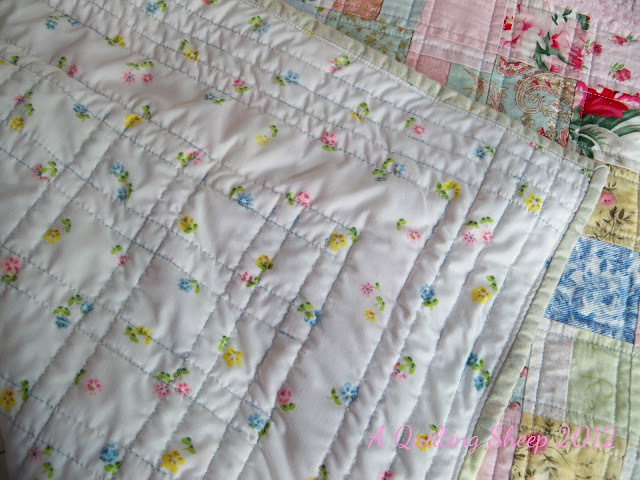 love the bag you made and the baby girl quilts! ..and All the time, God is Good. We are so very blessed to know that He walks beside us through it all. When we are down, He will carry us. Your projects are fantastic. I love them all. The purse and coin purse are great...plus I love the baby quilts. Hold you in prayer that our Savior and Healer continue to hold you in His healing arms! Looks like you have been a busy girl. Love all of your finishes. I forgot y'all were going to New York. Thank you so much for sharing your trip and your pictures. Looks like y'all had a wonderful time. What an amazing trip. What fun things you have going on over there....love all it all!! The fabrics are just awesome! 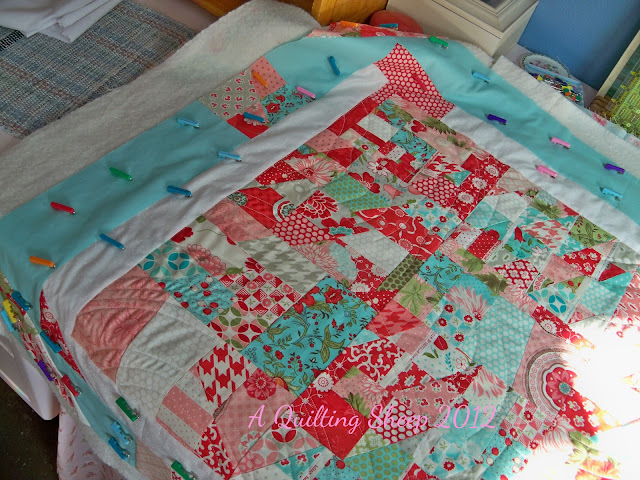 Your quilting is lovely. 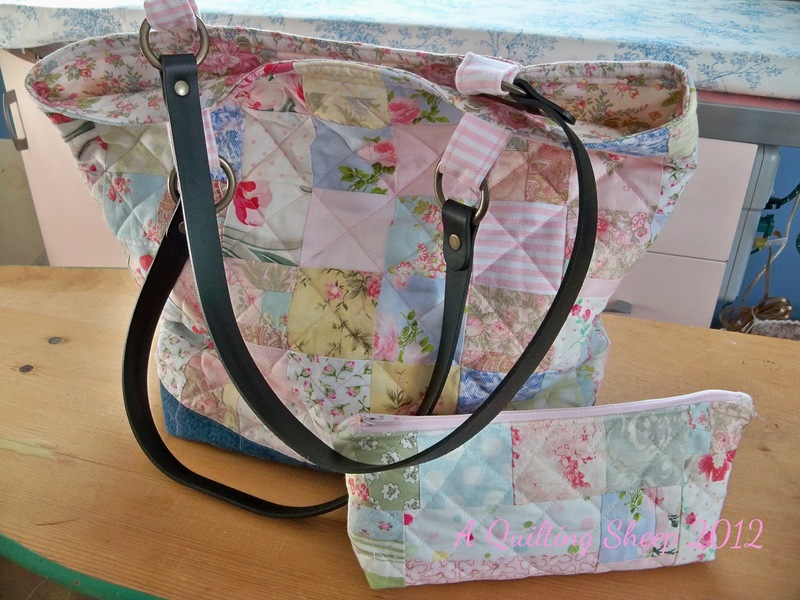 I love the colours you've used in the bag and purse and the baby quilt. Thank you so much for stopping by and leaving a comment. 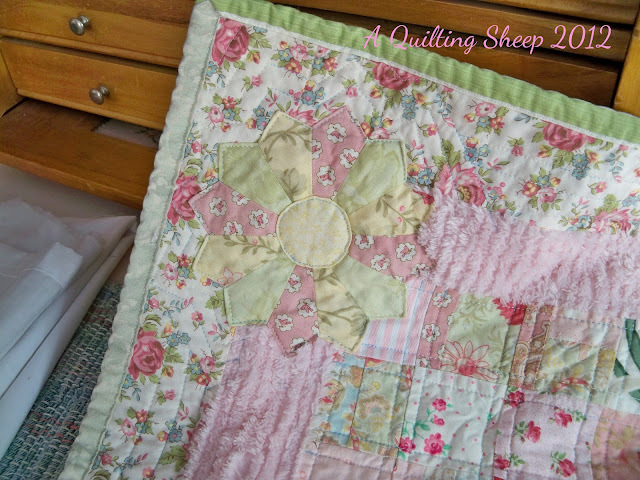 =) I used my most treasured scraps for my purse and the baby quilt. I really love how it turned out. My, you have been busy! Everything is so beautiful, just like always! :) What is that pretty feminine fabric you used on the purse? I love it. And are those a type of basting pin that you use? They are very interesting looking. So glad ot know you are feeling better. I understand how you have felt. You are right, you have been busy!! All of your projects are just lovely. Glad you are getting lots done. Hope the cloud is gone, soon. I was at my family reunion this past weekend, and there were pictures of my daddy (died in 2009) all over. He was the one who started the reunion 30 years ago. Bittersweet. Lots of great projects in this post! I know about those clouds! It is wonderful to know that no matter how we feel, God hasn't changed. I do so love that Merry Go Round quilt. I'm heading to Amish country this Saturday and may look for a similar pattern. 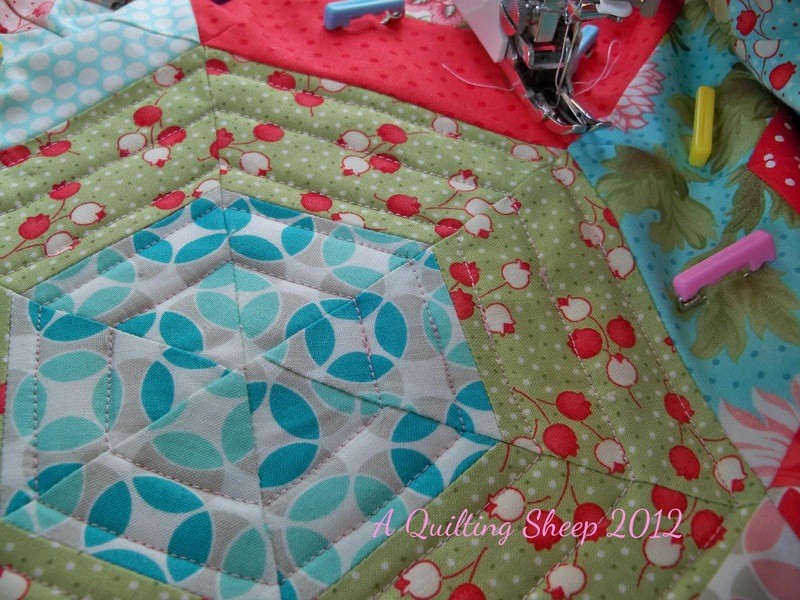 I believe you posted some pics of that quilt top when you had it finished, and I liked it then. You other projects are just great. Love the flower on the baby quilt, too. Amy, that is the best baby blanket I have EVER seen. Has it already been gifted? I am sorry you have been feeling blue. It is hard to pass some of the moments we are flooded with remembrances. You should come visit. :) The weather is PERFECT here and there are loads of things to do this time of year!